Josie is the Programme Manager for the Better Start Bradford Innovation Hub. Over the past three years she has focussed on integrating research into healthcare practice including the development of toolkits to support the service design, monitoring and evaluation of health interventions. Josie also oversees the world’s first experimental birth cohort: Born in Bradford’s Better Start. 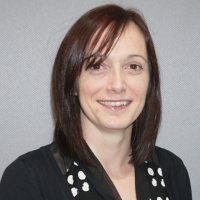 Josie has a PhD in psychology, and has worked as a research programme manager in applied health research with experience of mixed methods approaches including pragmatic randomised controlled trials, cluster trials, cohort studies and process evaluations. Josie’s research interests are in applied health research in vulnerable populations and the implementation and evaluation of complex interventions in community settings. Working with a lovely team and feeling a part of something exciting and special. Strange as it may seem, my brother and I use to love playing inside with our toy farm and animals despite the fact that we had the real thing outside our front door!